isnt it Sinners are welcome? is that part of the joke? 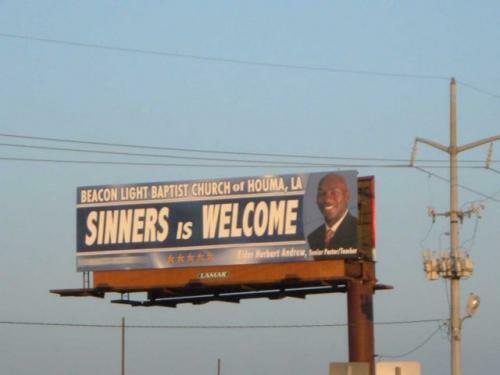 Omg, i just noticed it says Houma, LA, haha. See, thats south LA, not like us in northern LA, we is has gremmer here! Brushaway is a massive failure. Brushaway… is this a Paris Hilton act, or are you serious? Seriously, who needs verb tenses anymore.